Make sure everyone is logged out of System Five. 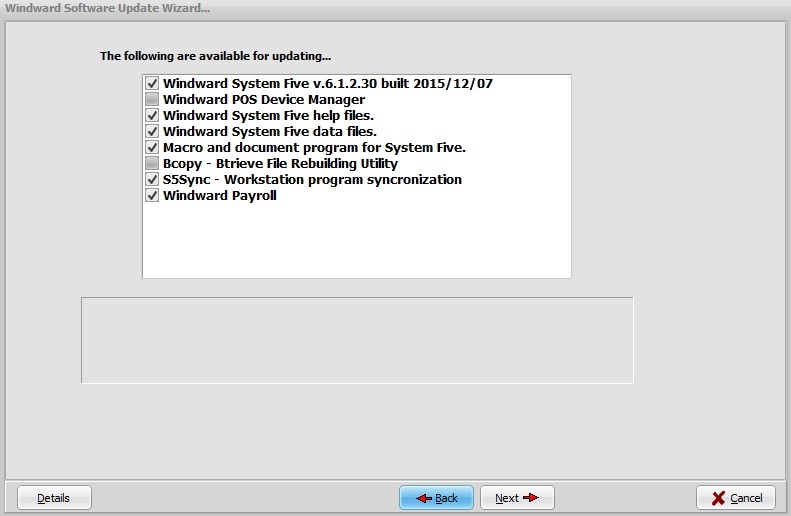 For other Windward applications such as polling, WEAR andstand-alone synch the remote data first before any updates. But we strongly recommend if you have special modules Polling, Standalone, WEAR and PAYROLL to call our support hotline 1-800-663-5750 or email us at support@wws5.com so that our technician can assist you on this process. 2: The system will automatically choose the fastest connection for the FTP update. Normally, passive FTP is enabled by default, but if you are experiencing issues connecting through firewalls, etc., un-check passive. 3: You will be prompted to enter in your e-mail address so that we can note who has updated. This information is useful in the sense that if there is a serious problem with a current version and we know who has downloaded it, we will be able to contact the said parties to both let them know and also inform them of a fix. 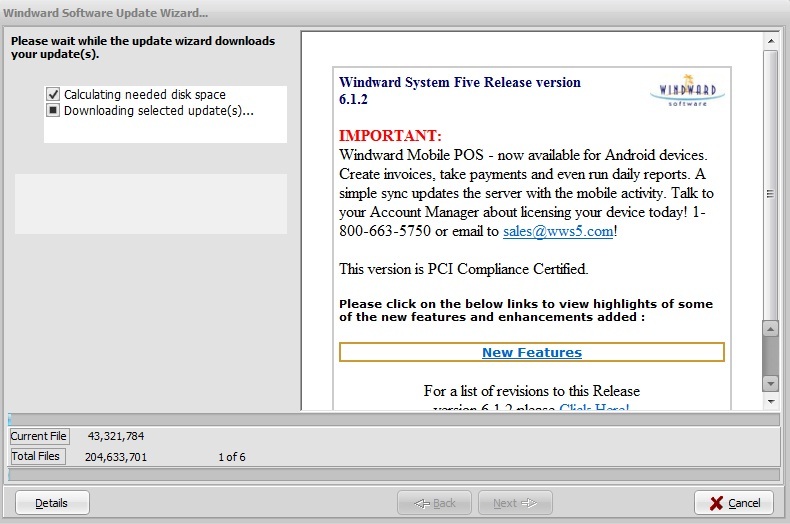 Version information will be displayed to the user. The system will automatically choose the options which it feels needs to be updated. 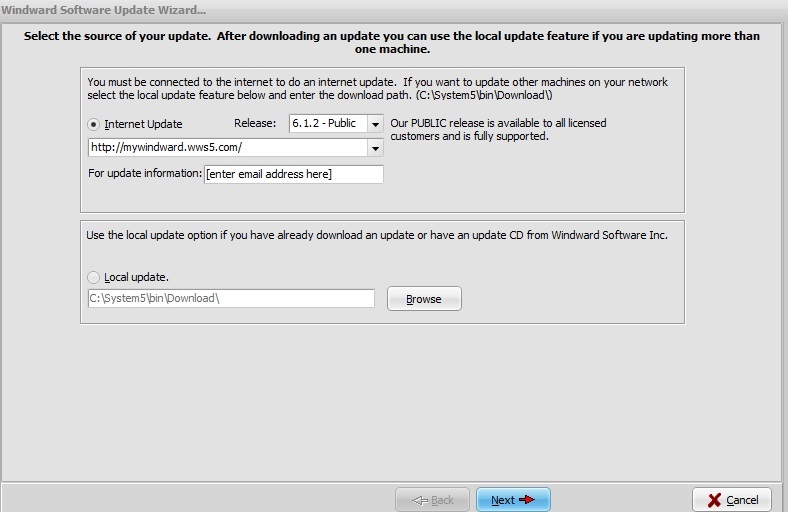 One can manually override the system by checking or un-checking the different update components. 5: As the update is being downloaded, the user is informed of the download progress via the status bar. 6: Also, note the update message. This contains information about the particular version and also some of the major enhancements just click the link provided. 7: Once the update is finished downloading, the user is prompted with a message to ensure that everyone is logged out of the system. Typically, we have the users logged put of the system before we begin the update process, but if download speeds are slow, then all users can continue to work in System Five until this point. 8: If the update completed successfully, the user will be notified.